With the adoption of the emergence of eCommerce comes the need to buy things or pay for things online from Nigeria. Most of the things to be bought are in currencies that are not Naira. In order to pay online for such tools, there is a need to use a credit card. 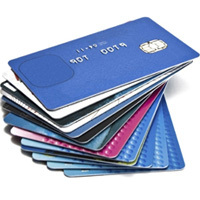 The types of the credit cards to use are prepaid credit card. According to Wikipedia, A “prepaid credit card” is not a true credit card, since no credit is offered by the card issuer: the card-holder spends money which has been “stored” via a prior deposit by the card-holder or someone else, such as a parent or employer. However, it carries a credit-card brand (such as Discover, Visa, MasterCard, American Express, or JCB etc.) and can be used in similar ways just as though it were a regular credit card. Unlike debit cards, prepaid credit cards generally do not require a PIN. An exception are prepaid credit cards with an EMV chip. These cards do require a PIN if the payment is processed via Chip and PIN technology. The advantage of prepaid credit cards can is that the card holder does not need to spend a lot of money to get the card. To use prepaid credit cards in Nigeria, you will need to get the card, load the account with any amount of money and then use the card to make purchases online. You would not be charged any interest but expect charges like a purchasing fee, transaction fees or monthly fees. Please note, you can only use funds that are available on the card. Prepaid credit cards can be used globally. The prepaid credit cards are convenient for making payments online in Nigeria where international wire transfers and bank checks are time-consuming, complicated and costly. Here is a list of the prepaid credits cards in Nigeria that you can get. 1. Skye Bank Visa Prepaid Card: The Skye Visa Prepaid Card is a re-loadable (Non-personalized & Personalized) instant issued card established with previously deposited, authorized or transferred funds which will be reduced by purchases, cash withdrawals and account charges. The Prepaid Card is suitable for both existing and non-customers. The Skye Prepaid card is also aimed at partnership schemes. Features & Benefits: Opening balance of $50. 24hr customer service line. Visa web-banking and SMS/email notifications. Emergency legal and medical referrals while abroad. 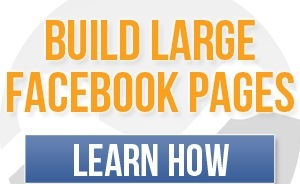 Free/Discounted access to some visa sponsored campaigns. Valid for 2 years. 2. Stanbic Visa Prepaid Card: Money loaded onto the card can be used to make payments in US dollars anywhere Visa debit cards are accepted. You can pay bills, shop online and use it at any point-of-sale terminal that accepts Visa cards. You can either have a Standard Visa prepaid card or a Visa prepaid NIFI card. This card is issued by Stanbic bank with a present cost of $20. 3. UBA Pprepaid Visa AfriCard: This prepaid card is denominated in Naira but you can use it for online payments in other currencies. You will be charged with the exchange rate at the time when you are using it to make purchases. At this moment, Africard costs less than $10 to get. To get any of the prepaid credit cards above, you will need a form of identification (Passport or ID Card), PHCN Bills and passport photographs. You will need to go to the nearest branch of these banks to start the process of getting yours. If you get to any of the branch and you are not helped, you will need to go to another branch or the main branch of the bank in your city. Do you use a prepaid credit card in Nigeria that is different from the ones listed above? I’ll be looking forward to get to know those cards. You can share them using the comment box provided further below.